For personnel who perform payment activities; entering receipt information, entering non-contract payments and returning goods. 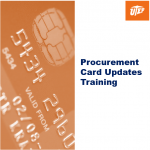 Training to review updates to Procurement Card Policies and Procedures. Mandatory for all cardholders and Pro Card reconcilers. This course will provide the following: * An overview of budget balances in PeopleSoft * The department budget table (position funding information) * Available budget queries * How to run PeopleSoft queries and reports for finance and HR. For personnel that maintain appropriate internal controls for expenses and reconcile accounts on a monthly basis. Do you need help while you reconcile your accounts? Attend this session to reconcile your accounts. Support personnel will be present to offer guidance or address any issues that you encounter as you reconcile. Travel creators will learn new functionality and queries. Creators will also review available expense types in detail. 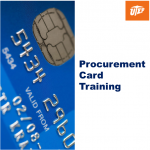 This 90 minute training course is designed for university employees tasked with the procurement responsibilities for their departments. Information will be provided on how to log-in, set-up your profile, create and approve purchase orders. This 90 minute session is designed specifically for those employees, within their department, who create and maintain university/state records. Topics include: What is records management? 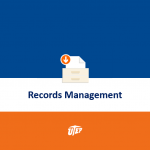 Who is responsible for records management at UTEP?